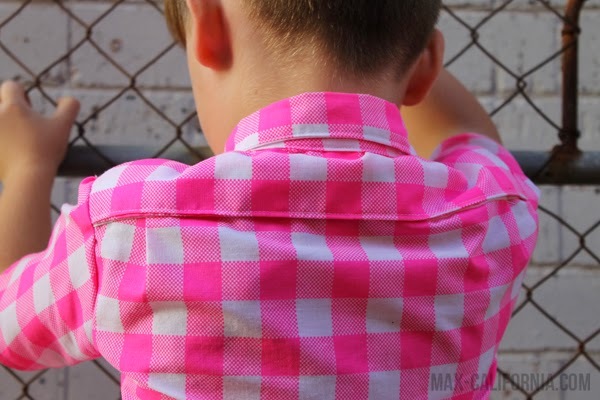 Max California: Boys Can Wear Pink + giveaway + tutorial! I really don't think it's any secret that we like to break the rules over here. Over here as in my blog, not as in Australia in general (although we were a convict colony so I guess it's just in my nature? hehe). The one thing that I really like to encourage in my children's lives is that there are no boy or girl colours, there's no boy or girl jobs, everyone is equal. Girls can be Darth Vader and not Princess Leia if they want to and boys can do ballet and not karate if that's what they want. Vincent's chair bag this year is black plaid with storm troopers and his pencil case is pink teddy bears with pom pom trim (both mama made of course!). The one thing that really isn't a secret is his favourite colour. It's pink. And while he's copped some flak from it at school, he's really lucky in that he's fairly popular (because of his obsession with Star Wars and Batman)(of if only that still worked when you were an adult!) so his response to his friends trying to tease him about his hot pink lunchbox? "I think it's cool" And you know what? They deal with it. He's a sensitive little soul, he really wouldn't handle being teased for something like that at all and would most likely reject all things pink. Which really? That's not fair. It's just a colour guys. 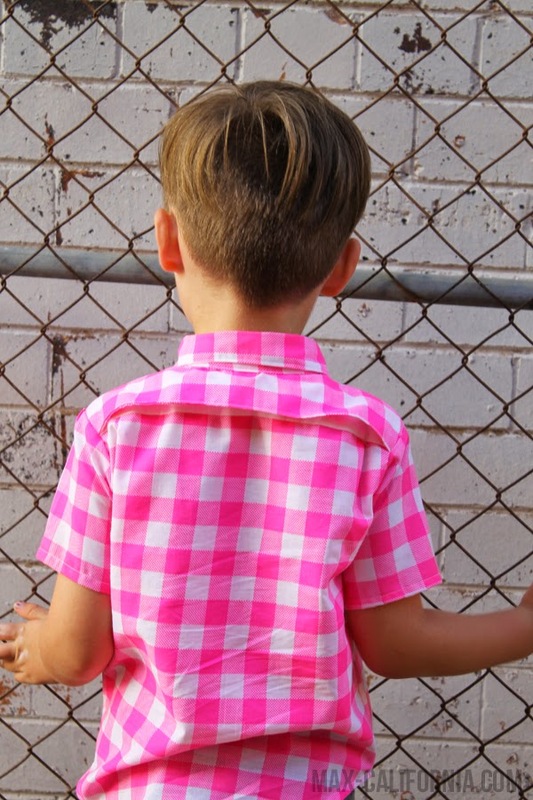 Vincent was almost four when he found this pink teddy bear fabric in my stash and begged me for a pair of pants. I was 100% sure his dad was not going to be keen on the idea, but I made them anyway because I am all about my kids being able to express themselves. He ended up winning a Pop Street Kidz street wear competition thanks to these bad boys. Two years later he still talks about the pants and I really wish that one day I can find enough of the fabric to make him another pair! 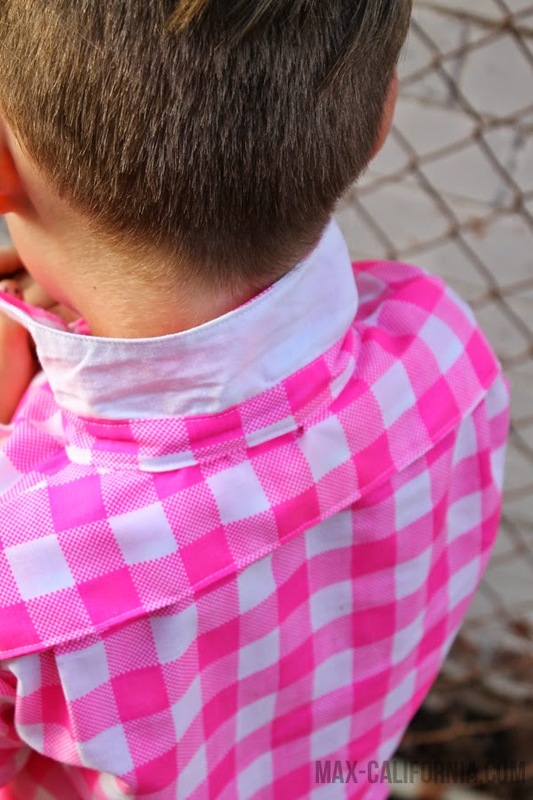 This post, in case you haven't figured it out already, is about the fact that Boys can wear pink! 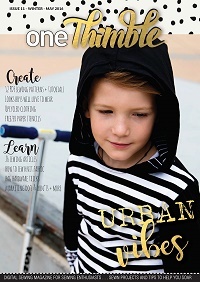 It's something I've always agreed on, but it took my friend Kelly at Handmade Boy (oh my gosh she's amazing go look at her blog and just spend forever there) to turn it into a blog event! Lucky for me, I was asked to take part and it was with great glee that I made Vincent the most obnoxiously pink shirt ever! 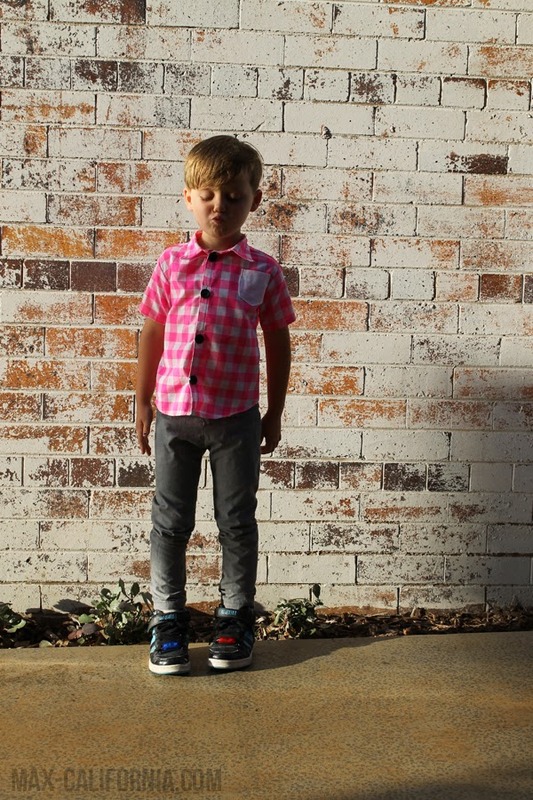 I used the Scientific Seamstress' Ethan Boys' Shirt pattern (or Sis Boom Patterns I'm not really sure who to credit here lol) that I bought in the very first ever Sew Fab Sale Pattern Bundle! 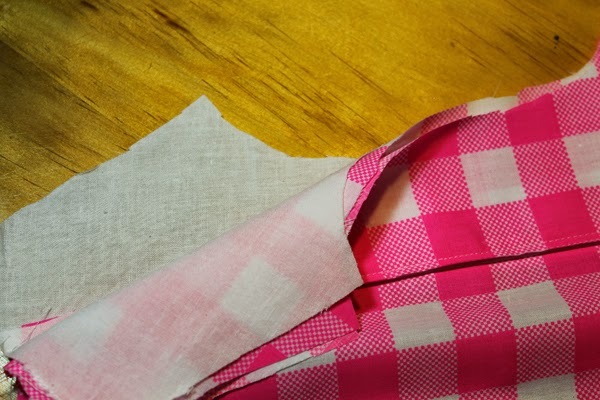 I haven't used the pattern before although I really wanted to, and while I've made plenty of button up shirts before I thought I'd give the Ethan shirt a whirl. Guys. I'm in love. It's actual true love. Now the reason I sew is because I have no patience or focus to knit or crochet and sewing gives me results fairly quickly! It takes a lot for me to tackle a pattern that requires time and effort and not something I can sew up in a day. This shirt pattern is just perfect. Like. The placket was actually so fun to sew (it's in two pieces) and I just really enjoyed making Vincent a nice little shirt! I had serious issues with that hem though. I was tired and done with it all by then. It took me like 2 days after the shirt was done to actually sew the buttons & buttonholes onto it haah! Okay so something I really love doing with boyswear, is tiny little custom details. i've said it before but I'm saying it again. 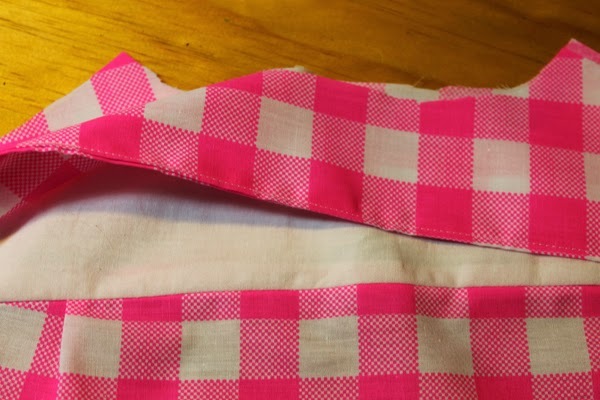 Sewing for girls is fun (a new thing I have learned thanks to little sister) but it's like, too easy, to slap a bow or a ruffle on something and call it a day. 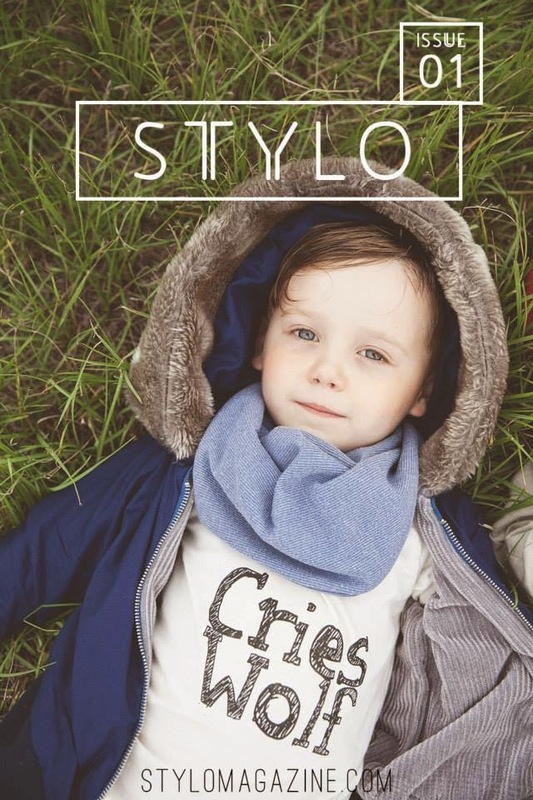 I love the challenge to make boyswear fun and interesting without resorting trucks and cars and i don't know, 'boy stuff'. I like to add secret pockets, or just little details that make this something that you can definitely not just buy in a store. The first little detail I added was the contrast under collar. It's something you can't even see and my little guy is not in the habit of popping his collars (lol)(please don't ever be that guy) but to me it is so damn COOL! I was heavily inspired by this jacket I pinned about 500 years ago (I'm that old) and if any of you lovely readers can point me in the direction of how to constract that kind of collar (look at those edges. It's like.. unf). I'd really love to learn that sort of couture technique! My other little feature is something I've done before, absolutely LOVED, and decide to do it again. I you scroll down to the bottom of this post you can check out the mini tutorial I put together to show you how I did it in case you want to do it too! I turned the yoke into like a yoke with a flap, and no I don't have any creative term for it except "cool flappy thing" which makes me cringe because the word flap makes me feel uncomfortable as it is! 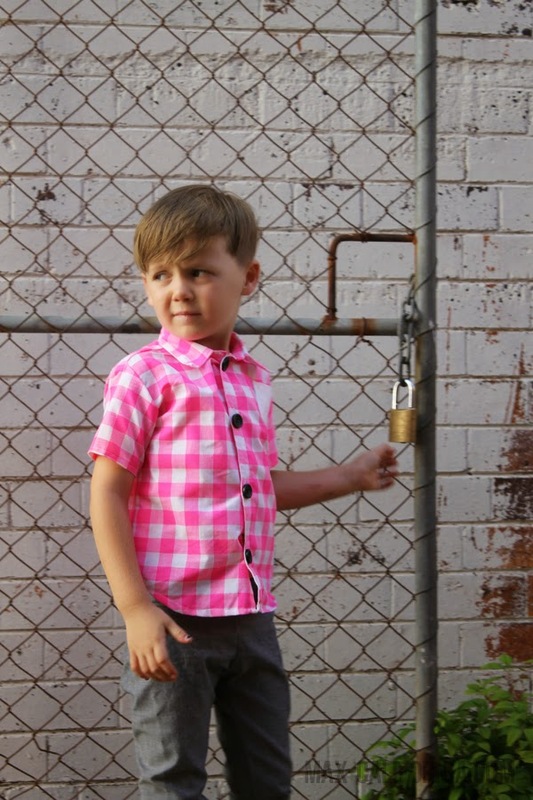 Fun story, the fluro pink plaid was mean to be a 'pretty dress' for his little sister. Sorry gurl, your bro nabbed this! Okay so want to learn how to do the 'cool flappy thing'? Click the Read More! Alright. So basically you want a pattern that has a yoke in it. You can make a yoke, but for simplicity sake let's go with a pattern that already has one. I didn't take a photo of the shirt under the flap, but it's contrast under there too. The original yoke I sewed to the shirt is white like the pocket on the front and the undercollar. So I cut two of the yoke piece in white, the outside and the lining. 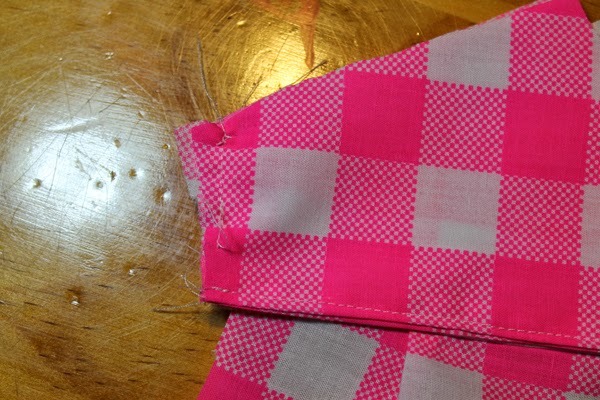 Then I cut another two out of the fluro pink for the flap. Using plaid or stripes? Match the patterns! Trust me it just LOOKS so much better and you get this sick sort of satisfaction with something so minor. So I sewed the yoke flap right sides together, just along the bottom. I flipped it out the right way out, pressed it so it was all lovely and then topstitched that bottom seam. Then I placed it onto the back to the shirt that is already constructed (as in the original yoke is attached to the back piece already). I pinned it super carefully because you don't want it to move and look weird. That actually wasn't sarcasm haha. I did use more than one pin! Alright now you're going to stitch the flap yoke to the original yoke. I used a few stitches on the both sides of the yoke to secure it in place. 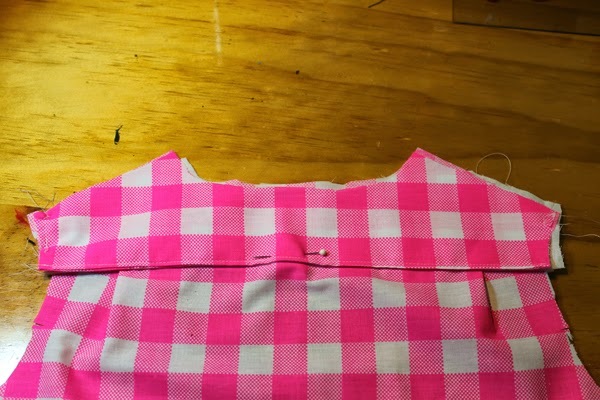 Alright, now what we are basically trying to make this flap attach to the top/outside yoke (aka not the lining piece) and then throughout the rest of the garment construction you'll be treating it as ONE PIECE. So like stitch that yoke flap on then just pretend it's not even there. I pulled the original yoke away from the lining pieces and stitched across the shoulders and the neckline to keep it all together. DO NOT STITCH ANYTHING TO THAT LINING PIECE! And there you go. A nice little flap! Super simple isn't it? Now go sew flaps to everything ever! That cool, flippy yoke is awesome! 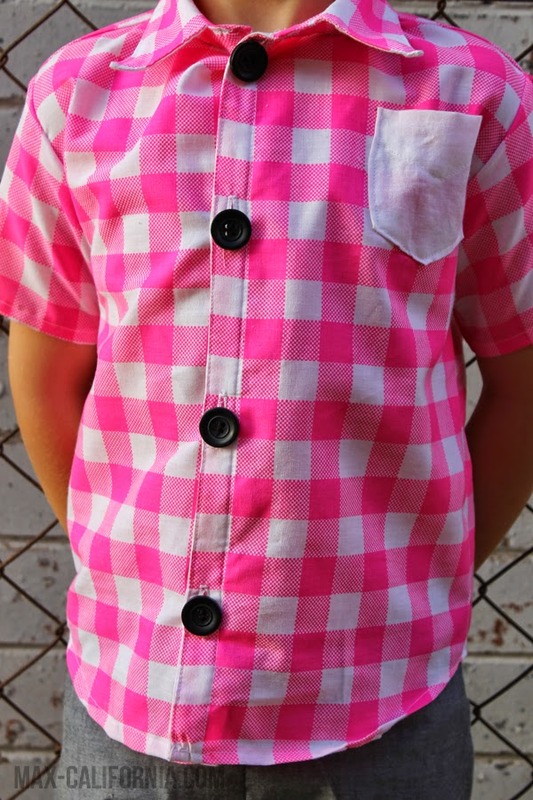 I totally need to add a flippy yoke the next time I make a button down. And you know me, I LOVE pink on boys! Nice job! In a tie or shirt. I love this look! the cool flappy thing would be awesome to do with some crazy fabric on a button down look. I might have to use this idea on a project I am working on. I just love it. Vince is so rockin pink! This shirt is amazing. 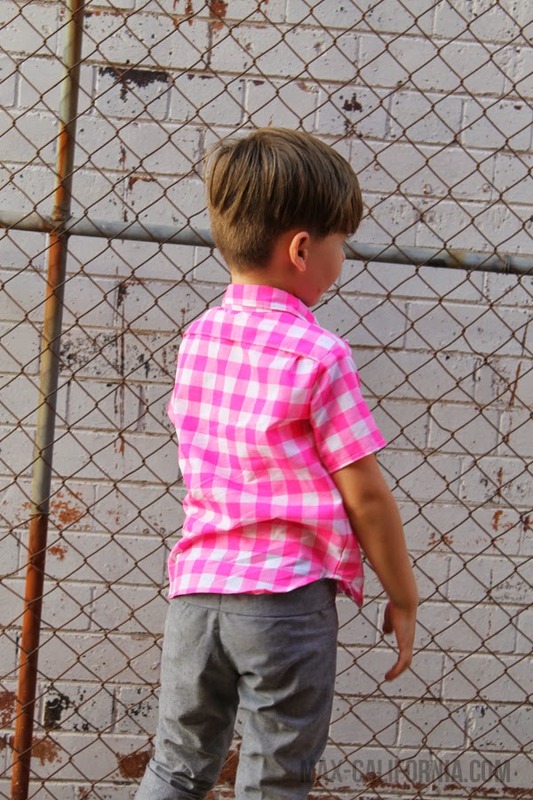 Hmm, what is my fav way for boys to wear pink? Shirts, Tees, Sneakers, Shorts - too many possiblities. I can't choose! I love it! 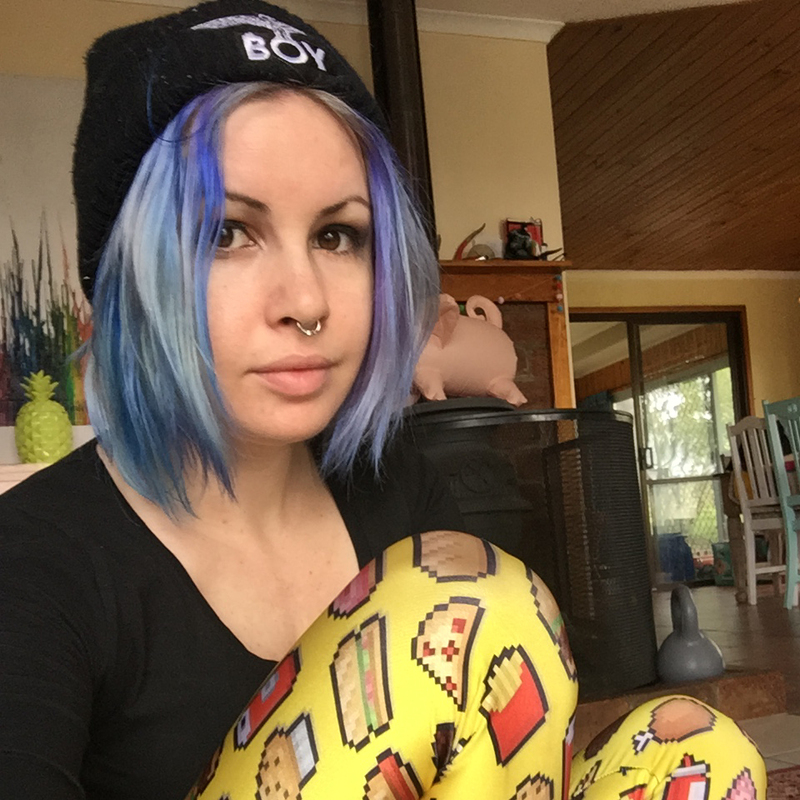 Can you tell me what adjustments you made to do the hosh pants in non stretch? I've had the pattern SO long and have yet to sew up a pair-part of what was keeping me was the stretch fabric requirement. I didn't make any adjustments haha! The problem is that it makes it a it snug to pull up over his thighs and bum but once they are on he says they are comfortable. Unfortunately it just means he grows out of them very very rapidly. That is such a cute shirt! 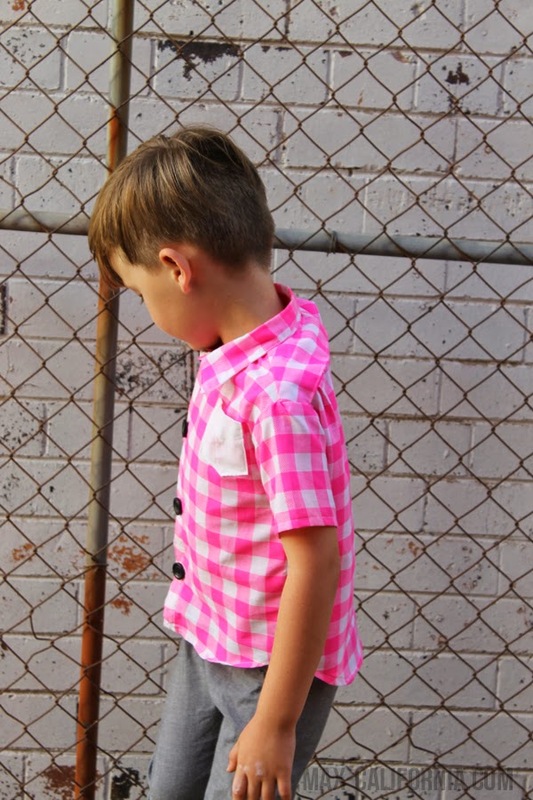 I used to be deadset against boys/men wearing pink, particularly when it as in fashion for a bit there. I don't know why but I'm glad I've gotten past it now because making colours gendered is RIDIC! I love Vince in pink, and his pants, and his awesome haircut...he's cool without even trying, man! Pulling it all off like a boss. I little bit on a shirt.. But not a fan of totally all pink. 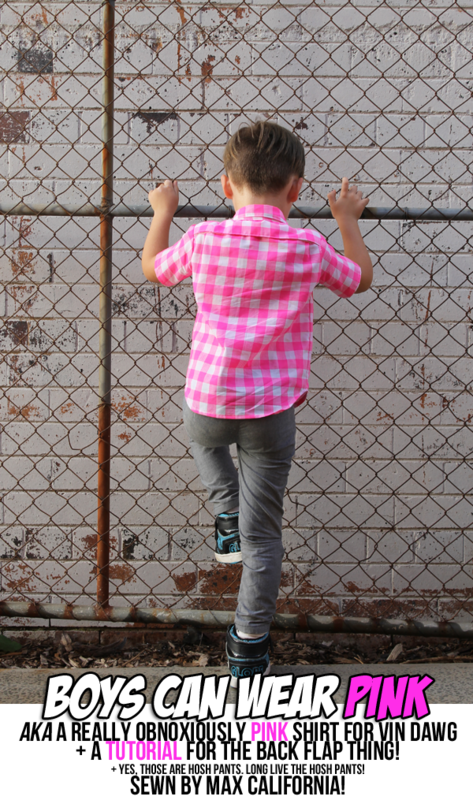 Once upon a time, he'd wear any outgrown pink things from our daughter....Now-a-days he will wear it in plaids....He has a pair of gray and pink plaid shorts! I love this outfit. And I've always admired your sewing style. 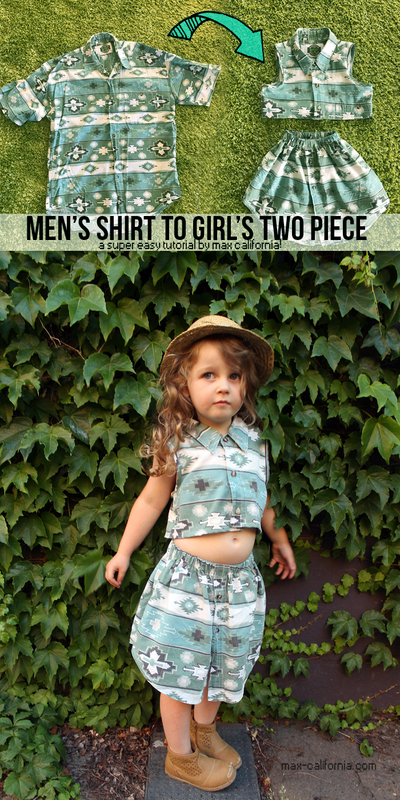 I keep thinking about making a buttondown for my kiddo but I keep being intimidated by all of the extras. I too cannot handle having projects that can't be done in a day. Which is what I assume of all buttondowns. But maybe I'll one day stop being a wuss and give it a whirl. That shirt is awesome! I love the flappy yoke! 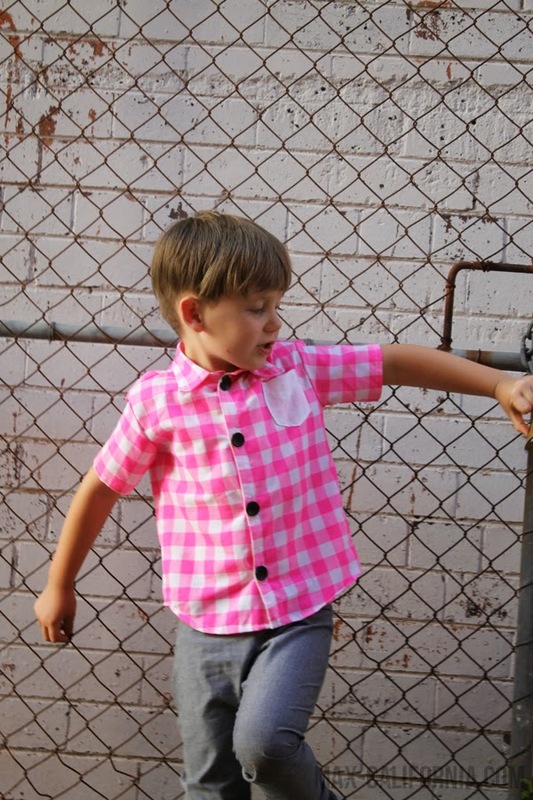 I don't love the color pink in general, but my toddler boy rocks a pink button-down shirt. I like my boys to wear pink any way they want. I'm game for making anything pink. I agree that flap is an uncomfortable word, it's much like casserole or slacks. Ech! Perhaps vent would ba a good alternative? Anyway, fabulous job on the shirt. I love it! I'm all about letting kids like what they like. I'm trying to put off the day when they realize that there are stupid arbitrary rules about what they're "allowed" to like. Until then, rock the pink! This is sooooo cool and Vinnie pulls it off so well. 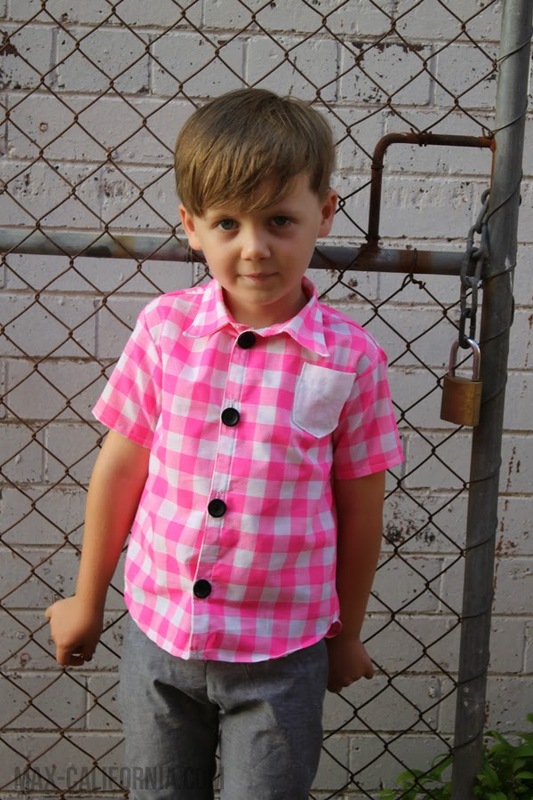 Definitely worth using the pink fabric for him - and nice pattern matching! Colors are gender neutral! 100 years ago, pink was considered masculine and baby blue feminine. It's all arbitrary!